I purchased this little wooden picture at the thrift shop recently. This is the back. The picture is made from vertical slats joined by two more horizontal slats. I thought the little wooden picture has some upcycling potential. First I gave the top and ends of the slats a coat of Rust-Oleum Painters Touch Latex in Flat Black . I then brushed on two coats of Waverly Mineral Paint in Celery. The paint is available at Walmart stores or online. I then used 150 grit sand paper to lightly distress the celery paint on the edges of the slats and ends of the slats to reveal the black base coat. I purchased a stencil packet at Michael's from Artminds. It's a great package with lots of great paper design stencils, a good way to increase your stencil inventory! I centered the arrow diagonally between the corners. 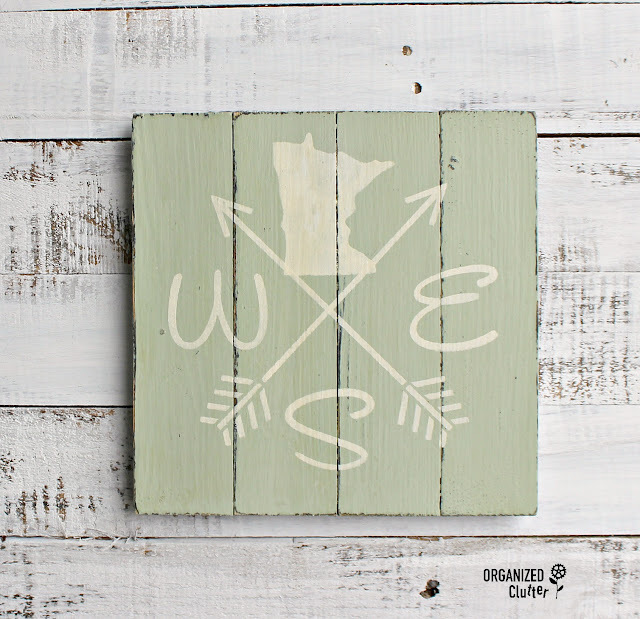 I stenciled the arrow with Ceramcoat Acrylic Paint in Light Ivory . I added another arrow pointing left. I also purchased a small packet of US State stencils at Michael's. 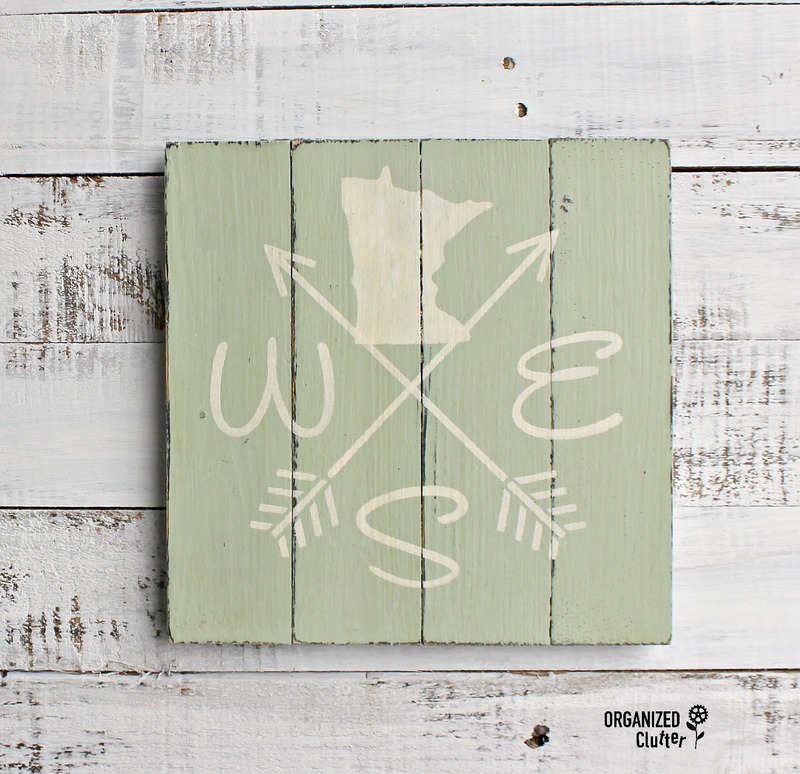 It seems like home state decor is quite trendy. The stencils I used for the directional letters were purchased at Walmart. To seal the sign, I brushed on a coat of Varathane Interior Crystal Clear Water-Based Polyurethane Satin Finish . You could also use a spray sealer like Krylon Matte Satin Finish Spray or even the wax recommended by Waverly. With a decent stencil inventory you can easily update thrift shop items, make signs, and decorate pillows. I love to mix and match various stencils to create more options. 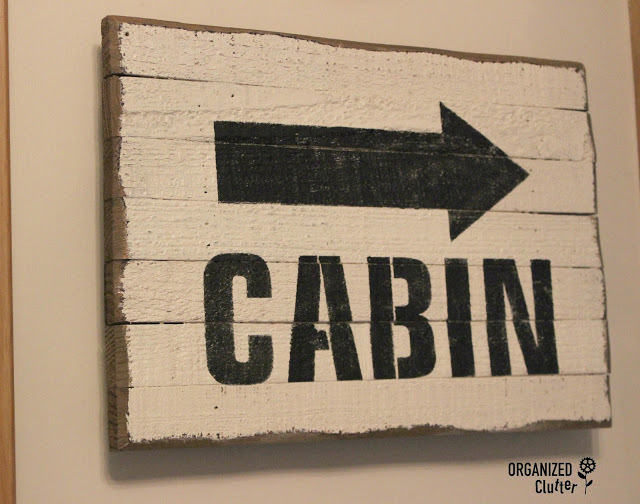 Wooden Flag to Cabin Sign. Thrift Shop Frame to Antiques Sign. Garage Sale Clock Face to Mandala Sign. That turned out great, Carlene! 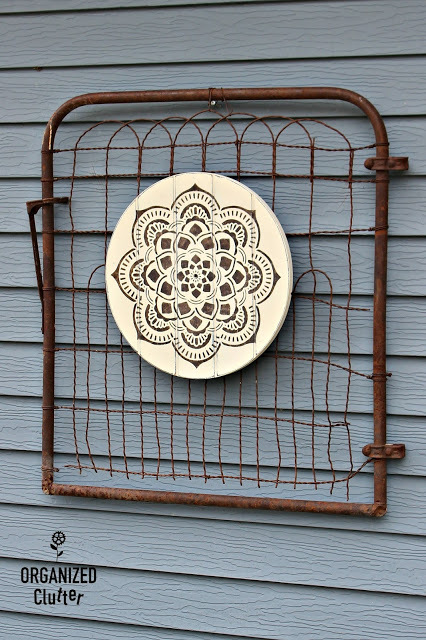 I am always on the lookout for wood pieces like that! 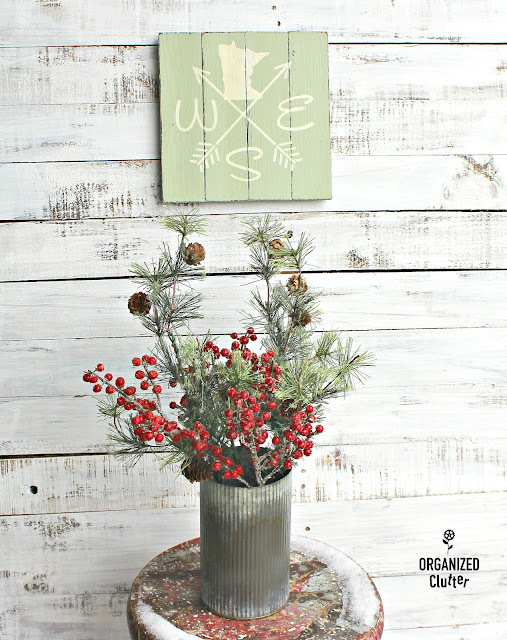 Always learn from your posts Carlene and enjoy seeing how you upcycle signs (I love making stenciled signs). Your wooden sign looks great!